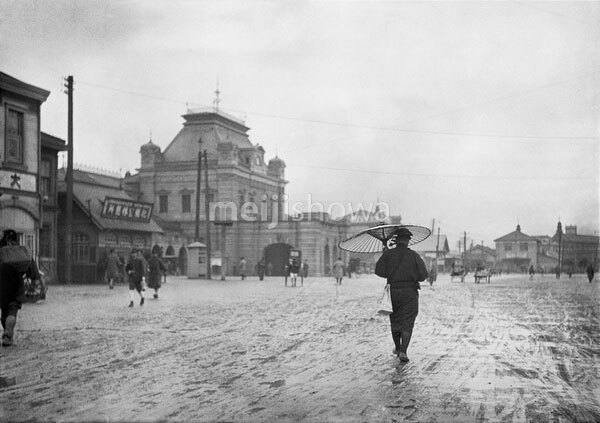 A man with a paper umbrella walks towards the second Osaka Station in Umeda, Osaka. Opened in July 1901 (Meiji 34), the Gothic style building was two stories high and built of granite, giving it a massive and imposing look. It became one of the city’s three must-see tourist attractions. Sometime around the 1930s (early Showa).